We have recently formed a partnership with Warwick Castle which is really exciting for Team Saffron! At such a historic and prestigious venue, it is an honour to be a part of the history and we’re really looking forward to working with the team at Warwick, particularly on their corporate events. 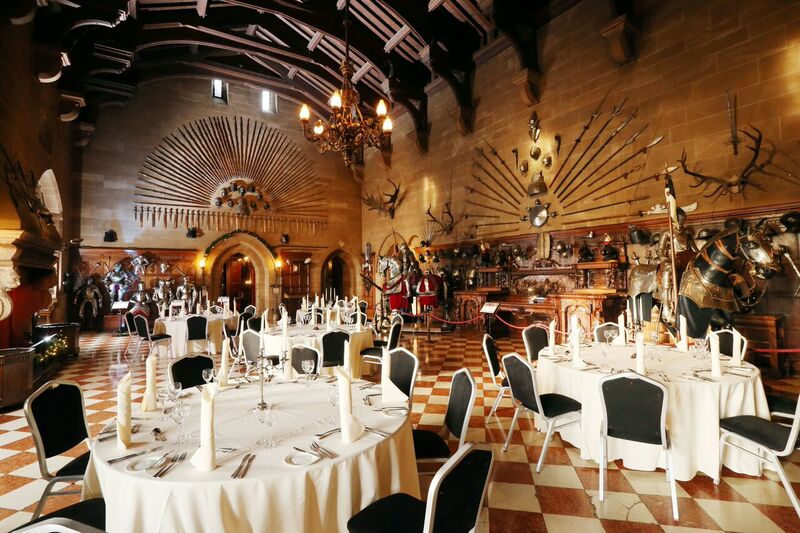 Collaboration has already started with a number of quotes being provided for potential corporate clients at Warwick Castle, one of which is a 700 cover traditional medieval banquet. The clients are very specific in their requirements in that they want the food to be as traditionally medieval as possible, therefore our kitchen team held a meeting to discuss menu options and the logistics of how things will work for such large numbers. In addition to this, our team has sourced traditional medieval service/crockery equipment, including wooden service boards and stoneware crockery. We decided the best option for this event would be arrival canapes such as chicken wings, and mini steak pies, for guests to help themselves to before seating at the wooden benches. The starter suggested is a Vegetable Pottage which we have suggested to be served poured into trench loaves as they would have served it in medieval times. Our main course suggestion is of course a traditional Hog Roast, along with Roasted Chickens, served with hot buttered new potatoes and vegetables, carved within the marquee in front of the guests and served on platters. Dessert is still to be decided, but the medieval times were famed for fruit filled tarts such as Pear and Almond for example. Throughout the meal we have suggested our team continue to fill fruit bowls for the guests to help themselves to, along with of course the traditional drink of Mead to wash everything down. Set in Tipi tents, this event will be one of our biggest served meals and we are very much looking forward to working with the team at Warwick Castle to continue discussions with the client. The venue is absolutely perfect for corporate events, with rooms available to host private and intimate dining for 16 guests in the State Rooms, to using the outdoor space for marquee events catering for hundreds, and of course Dungeon Tours, it really is the perfect place to entertain both clients and teams. We’re really excited about this venue so please do get in touch with us if you are planning a corporate event!